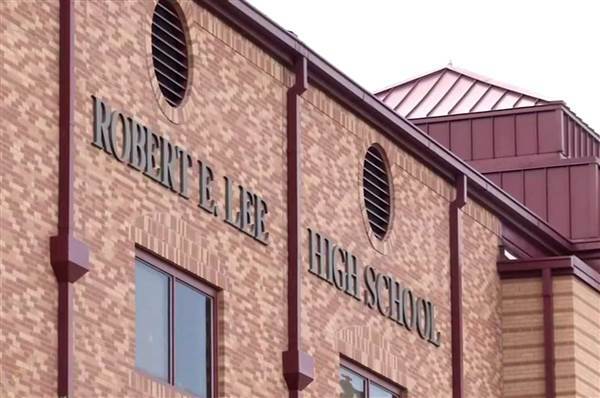 In San Antonio Texas, officials of the San Antonio school district have voted to rename Robert E. Lee High School because of its tie to the Confederate General Robert E. Lee. Some people say it doesn’t change much. North East Independent School District voted on Monday to rename the school Legacy of Education Excellence High School. The acronym for the new name is L.E.E. The Board President Shannon Grona says that the name is a compromise that holds a part of the school’s history. Trustee Ed White says that the acronym is like a putting lipstick on a pig. The debate over the school’s name was sparked by the violent white supremacist protest in Charlottesville, Virginia, in August.